I went along to a REconomy event in London in 2012 and was inspired in particular by the new businesses profiled. 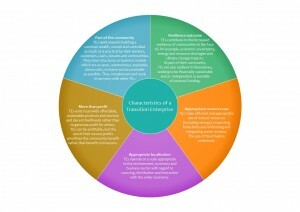 The website has lots of information for a transition economy. I surveyed their Top 20 Transition businesses as well as their characteristics of a Transition enterprise.